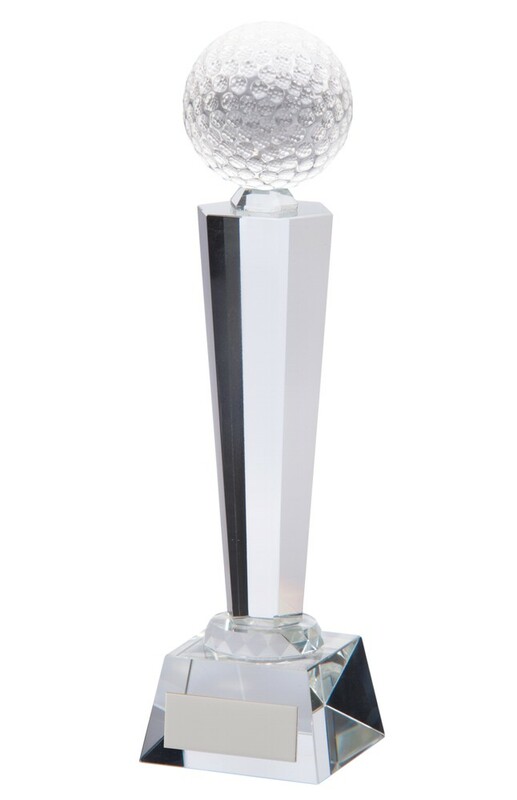 Crystal Golf Ball Tower Optical Interceptor Trophy. Available in 3 sizes, 240mm, 255mm and 280mm high. 3D crystal golf ball on top of optical crystal tower. Complete in its own presentation box. Free engraved plate with your required text.